The Sanctuary and Fellowship Hall are available for weddings, celebrations and social gatherings. For inquiries contact: the office for more information. The Unitarian Church of Staten Island is located on the North Shore of Staten Island, 15 minutes from the Staten Island Ferry Terminal in St. George. The church is located in the neighborhood of West Brighton, one block from Snug Harbor Cultural Center. We look forward to your visit! 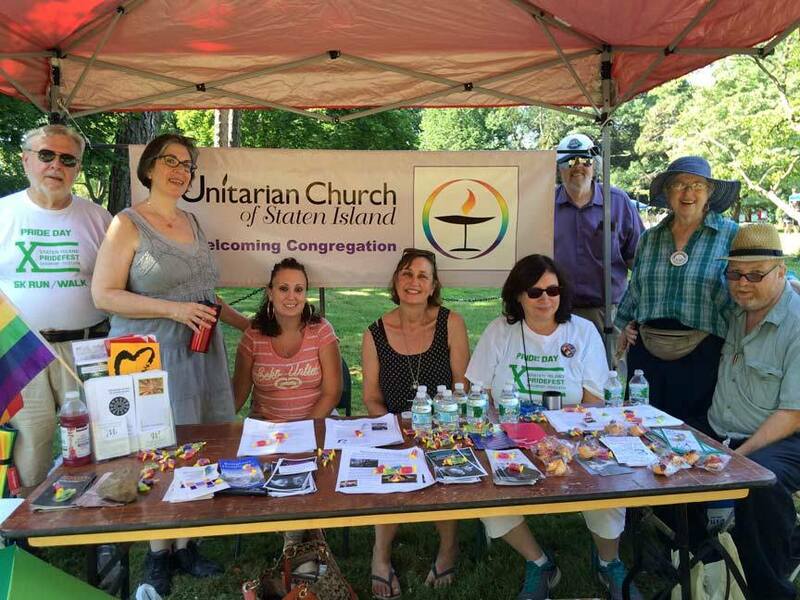 Members and friends of the UCSI table at the annual PrideFest Fair at Snug Harbor Cultural Center. To date, we are the only religious organization on Staten Island to participate in the event. Building Bridges Coalition of Staten Island is a non-profit corporation that promotes dialogue among faith organizations on Staten Island. ​El Centro del Inmigrante lobbies for full civic participation in the US for all immigrants. ​I Am Staten Island envisions all Staten Island residents as members of a shared community. The Pride Center of Staten Island supports the gay, lesbian, bisexual and transgender citizens of Staten Island. Peace Action of Staten Island works on local peace issues as well as state, national and global concerns.